Try This Natural Pest Control To Never See Mice Or Spiders Ever Again! If you live in the north, winter may actually be a welcomed break from the pesky rodents and insects that plague summer. But if you happen to live in a warmer climate, these unwanted guests can become a year-round problem. For most, pest infestations may begin to feel like a predicament even the best natural pest control solutions can’t fix. This problem is so big, in fact, that North Americans use close to 136 million pounds of pesticides on their lawns and gardens and even in their homes every year! That’s 10 times the amount of dangerous chemicals the average farmer uses according to Environment and Human Health (1). It’s also safe to say, according to this same organization, that most wildlife poisoning, including surface water contamination from pesticides, is a direct result of the chemicals we use in and around our homes. Think about it: do you really want to expose your family to chemicals that kill other animals? And you and your family are not the only ones at risk—family pets often become collateral damage in the war on bugs! If you’re like most people, then using traps and poisons to kill mice and rats is simply not a humane option. Luckily, nature has just what you need to make your home a pest-free environment and its 100 percent safe for everyone. One look on the Internet for natural pest control remedies and you are bound to see an array of options. It is confusing at best, especially when many of these remedies are either ineffective or extremely costly. But there is actually one option you have likely already used hundreds of times in your home for everything from a nice cup of tea to effective medicinal remedies that range from upset tummies to migraine headaches. And this wonder remedy is none other than . . . mint. There are literally hundreds of varieties of mint. While some are better than others for culinary purposes or even medicinal remedies ,they all have one thing in common—they are extremely aromatic, which gives them powerful insect and rodent-repelling properties. 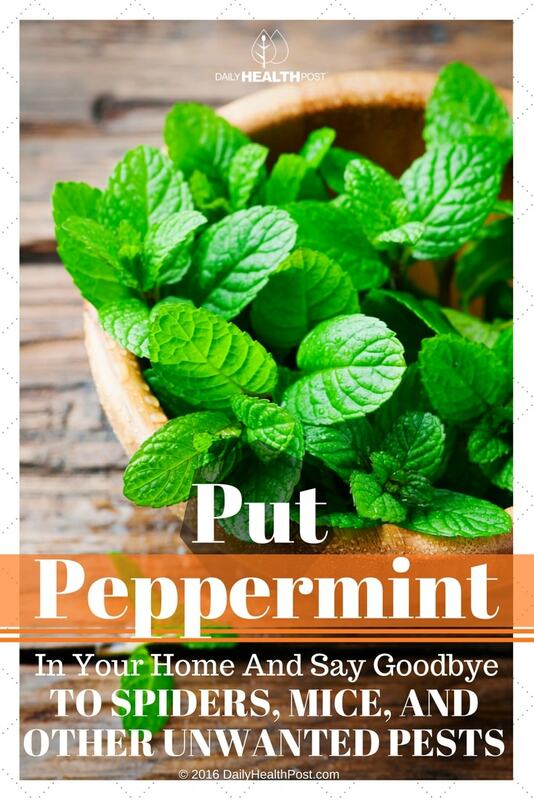 It really doesn’t matter what type of mint plant you choose—peppermint, spearmint, lavender mint, pineapple mint or even chocolate mint—mint plants are one of the best plants for repelling pesky insects, especially biting bugs like mosquitoes (2, 3). They are also a little-known repellent for mice, although certain varieties like spearmint, seem to work better than others for this purpose. 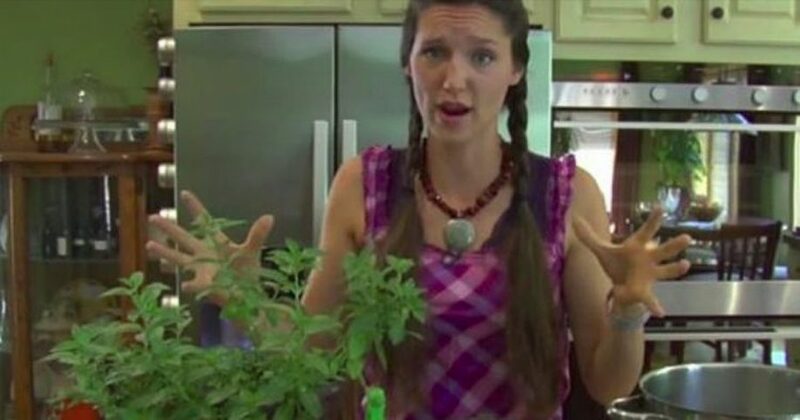 Using aromatic herbs as repellents is nothing new. Mothers and grandmothers alike have been passing down this tried and true remedy for centuries. And you don’t necessarily need to have a green thumb to take advantage of this natural pest control option either, although there are some tips that will help to make it more successful, depending on what type of pest you are looking to repel. If you have an insect problem, there are several ways mint can help. Spearmint, for example, is known to repel fleas, moths, ants, beetles, aphids, squash bugs, and cabbage loopers. Peppermint, while it will also repel aphids, cabbage loopers, fleas, beetles and squash bugs, is better for repelling whiteflies (4). Your best option is to have a variety of mint plants that will assure you repel all unwanted insects. You will always have a fresh supply on hand. You can use fresh mint for cooking, tea as well various medicinal remedies. Simply growing mint plants will help repel pests in any area you plant them. One of the biggest problems you will encounter when growing mint, however, is that it is a highly invasive plant, meaning it will take over any area in which it is planted. A good option is to plant mint in large flower pots. This will keep the roots confined but still allow the plant to grow without endangering other nearby plants. Place a variety of different types of mint around the boundaries of your property to keep insects at bay. To prevent pests from entering your home, keep a few flower pots near doors, windows, and other entry points.